Add a personal touch to your browser. Create and share custom Chrome themes using your own images and designs. 1) Import an image from your computer to use as your theme background. Adjust the size of your image, placement, and more. 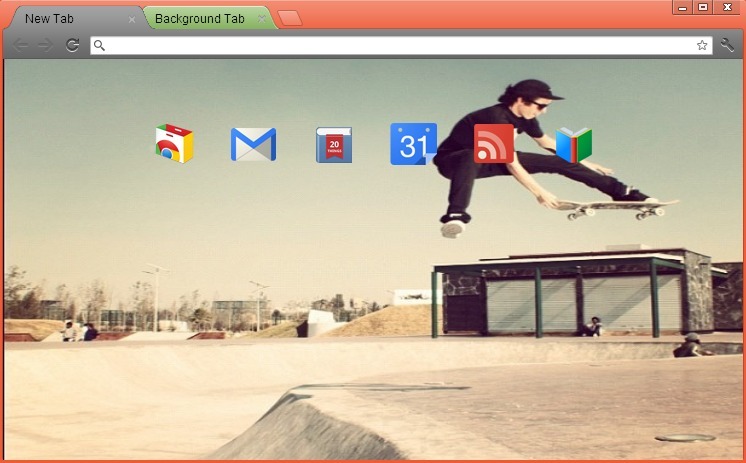 2) Add some color to the rest of your theme by customizing the omnibox, tabs, and remaining parts of the browser. 3) Name your completed theme and install it on your own Chrome, or share it with others on Google+ or through a unique URL.